Have you decided what you will be gifting your husband this year for Valentine's Day? Let us help you do that! Though you better know what your husband really wants, we are here to provide you with a gamut of gifting options - Roses in a box, Heart-shaped arrangement, Roses Bouquet in a Vase, Rose Basket Arrangements and so much more. Buy now! Looking For Valentine’s Day Roses For Husband? Here Are The Best Ones! 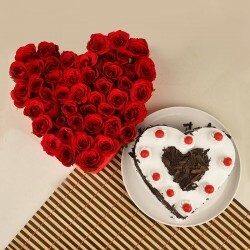 With Valentine’s Day ringing your doorbell, you might be in pursuit of the best Valentine’s Day gift for your partner. But, when it comes to picking the right gift for the man you love, you run out ideas because of limited gifting options available for men in the market. However, do you know that buying Valentine’s Day roses for husband is one of the beautiful ways of letting him know that how much you love him? 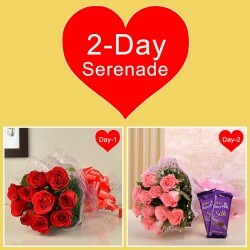 That’s why MyFlowerTree presents you a wide range of Valentine roses for husband that is breathtakingly beautiful. 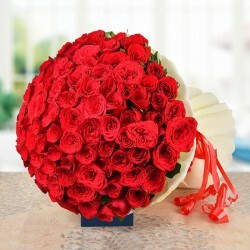 Roses have been used as the most powerful tool to convey the deepest feelings of a lover for over 5,000 years. 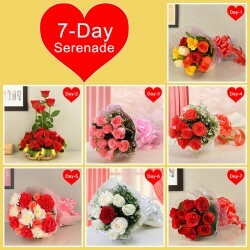 Everything is romantic about a rose, be it its fragrance or color or the appearance, that everyone loves these flowers. 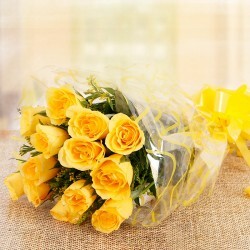 However, people often associate roses with women and think that roses can’t make an ideal Valentine gift for men. But, instead of believing this myth, you should give your guy a little taste of romance with our beautiful range of roses for husband. 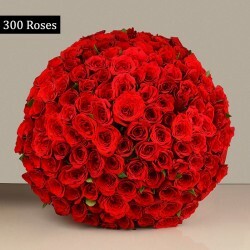 MyFlowerTree is one of the best online florists in India that offers its customers stunningly arranged Valentine’s Day Roses for husband that will help you express your love for your husband. 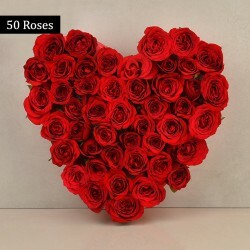 As you know that each rose color has a different meaning associated with it, we provide beautiful Valentine’s Day roses for him that are available in different colors including red, pink, white, yellow, peach, orange, and many more. All our Valentine’s Day rose bouquets for husband have been crafted by the best florists with utmost creativity and perfection. 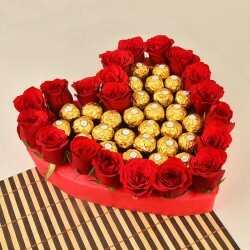 So, if you want to pick one of the best Valentine’s Day gifts for husband, grab a bunch of heavenly roses from our mesmerizing collection. Does your husband stays miles away from you and you miss him immensely? 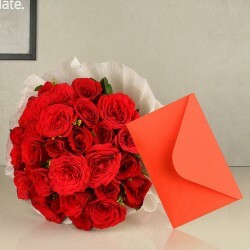 Well then, don't be upset because now can send Valentine’s Day roses for your husband even from miles away though our online delivery service. Yes, you don’t have to be worried about the fact that your man stays away from you any more. MyFlowerTree team assure you a timely delivery of Valentine roses for husband that can be sent anywhere, both nationally and internationally. So, this Valentine’s Day let a bouquet of beautiful roses cover the miles between you and your husband. We deliver in more than 350+ Indian cities and in international countries like USA, UK, Australia, Canada, Sweden, UAE, and many others. 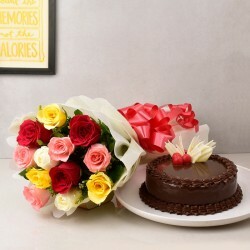 Therefore, distance is not a constraint for us when it comes delivering your token of love to your special one’s doorstep. 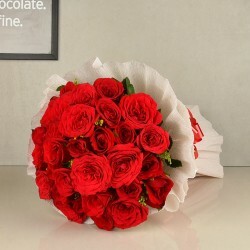 We, at MyFlowerTree, ensure same day and midnight delivery to our customers with the aid of which you can now send Valentine roses for husband online at anytime you want. Our same day delivery option ensures you a delivery of your ordered gift item in less than 3 hours on the same day of your order placement. While, our midnight delivery options serves as an opportunity for you to take surprises to a whole new level by making it possible to send Valentine roses for your husband even at midnight, right when the clock strikes 12 a.m.